The following are my planned future vacations that I have reserved through 2020. I plan to go on a cruise at least once a year, from Los Angeles to Los Angeles. I do not want to travel by air anymore for many reasons. Therefore, my choices are limited. However, the principal thing is to go out to sea once a year. 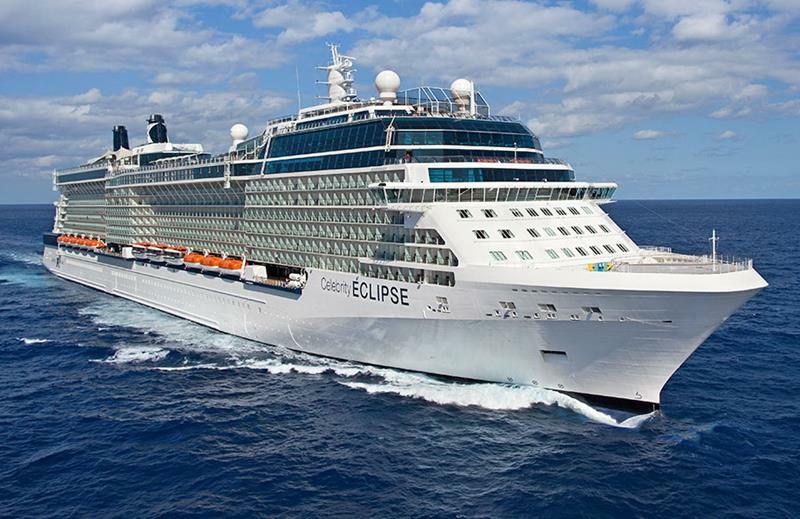 For November 11, 2019, I reserved a 9-day cruise to Pacific Coastline on the "Celebrity Eclipse," from Los Angeles to Los Angeles. This is a cruise I always wanted to go on. I got it with a balcony at a very good price. For May 2020, a 7-day cruise to the Mexican Riviera, from Los Angeles to Los Angeles on the "Carnival Panorama" The Panorama is the newest Carnival ship being made as we speak. It will enter service on November, 2019. I got a very good price and a cabin with a balcony. "Princess Cruises" to a 15-day cruise to Hawaii. This cruise will feature all 4 Hawaiian Islands plus Ensenada, Mexico, and 9-days at sea. "Princess Cruises" a 10-day cruise to Mexico, Cabo San Lucas, La Paz, Loreto, Sea of Cortez, and Puerto Vallarta, from Los Angeles to Los Angeles. "Princess Cruises" a 12-day cruise to Alaska. "Carnival 14-day cruise to Alaska. "Princess Cruises" 7-day Mexican Riviera - a repeat of the Carnival Panorama Mexican Riviera, but from a different cruise line although it is owned by Carnival. 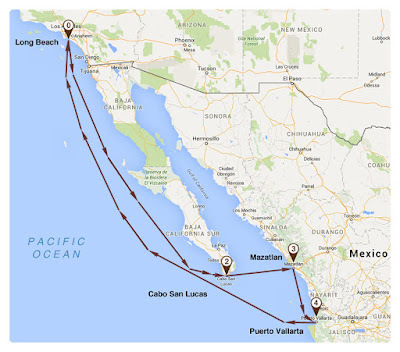 A 19-day cruise through the Panama Canal from Los Angeles to Los Angeles. This is a great cruise since it crosses the canal twice - going and coming back. However, it is a bit too long. There are 4-day cruises to Catalina and Ensenada by Carnival and 4-day cruises to Santa Barbara and Ensenada by Princess. Holland America, also owned by Carnival, has a very good 17-day cruise to Hawaii, once a year. However, it is prohibitive in price. 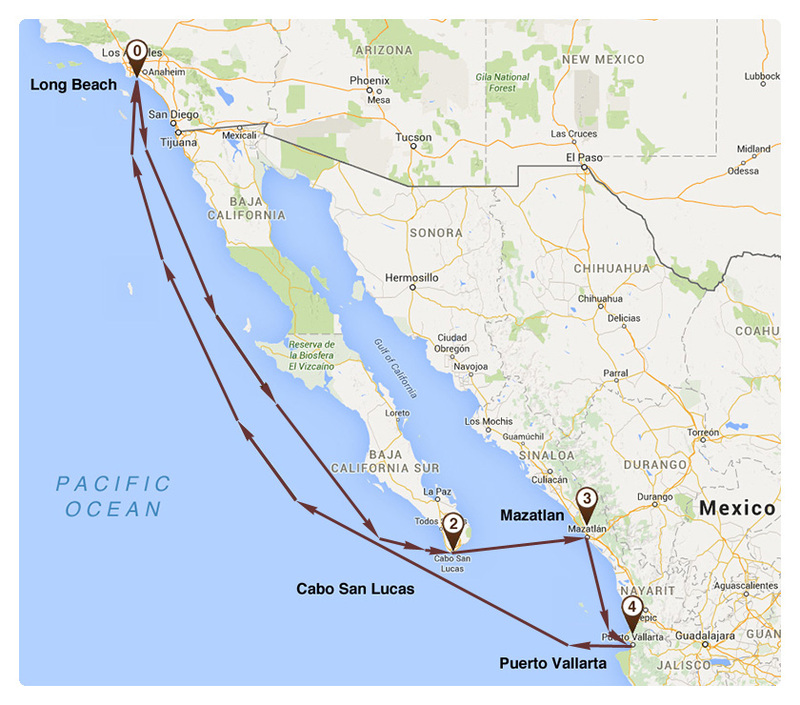 RCL does not have one, but NCL has a 7-day Mexican Riviera cruise, but I will never travel with them again. After that and if there are no new cruises, I have to start the process again. Figure that at my age, I will not be able to start the process again.